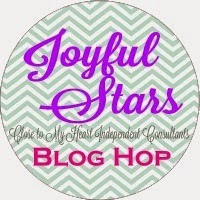 Welcome to our Blog Hop. I can't believe that it is already September! If you are coming from Nickie's Blog then you are on the right track. Today I have a card that uses my new favorite paper - Chalk It Up (X7184B). It is great for back to school photos, but I love the trendy colors and images for everyday cards too. The card is a twist on one we made at Convention this year. It is a faux swing card. If you own the Artiste Cartridge, you know that you can find 9 different swing cards on page 52 of the booklet. However, if you don't yet own Artiste, making a swing card usually involves using an Exacto knife to make the cutout. 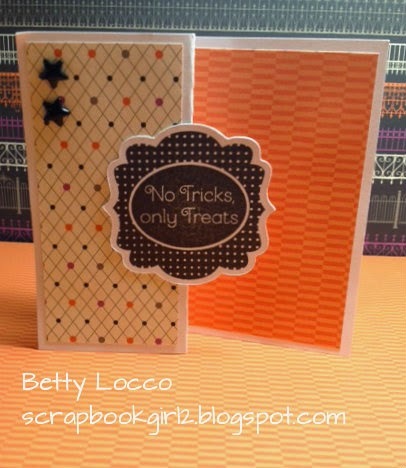 It is not really difficult, but the faux swing card does not require any cutting on the base card. The card is a regular 4 1/4" x 5 1/2" size card but the front is folded in half toward the fold (just like a real swing card, except there is no shape cut out). 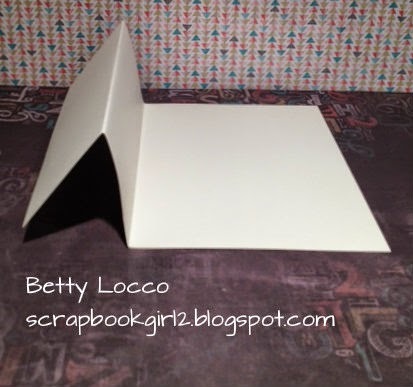 Then you simply attach a shape on top of the fold. I used a shape from Artiste - it is Accent 4 on page 36 of the booklet. The shape is stamped with B1467 You Mean the World to Me and outlined using the Journaling Pen. The inside of the card is lined with Flaxen Cardstock for contrast. Thanks for visiting our Blog Hop. Now it is time to go to Lori's Blog to see what she is sharing this month. This is a very cute card! I love the "faux"ness - so simple to do. And I love the inside, I'm loving all the black doodling that is very trendy now. Love it! 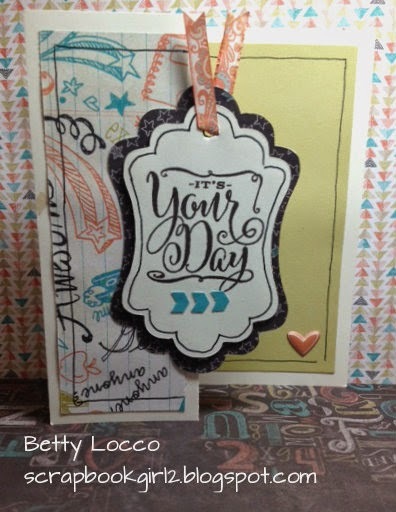 Love the Chalk It Up, and love the many aspects you added to your card! 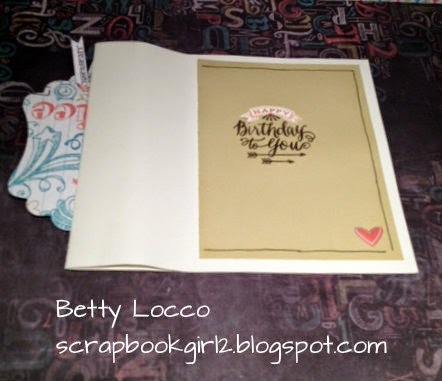 The black journaling lines, zip strip tag thread, & the wording inside...love the card Betty! !